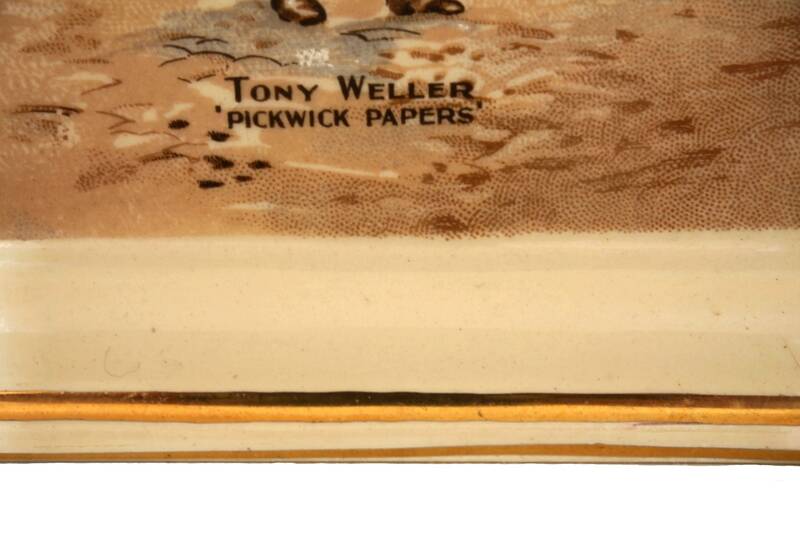 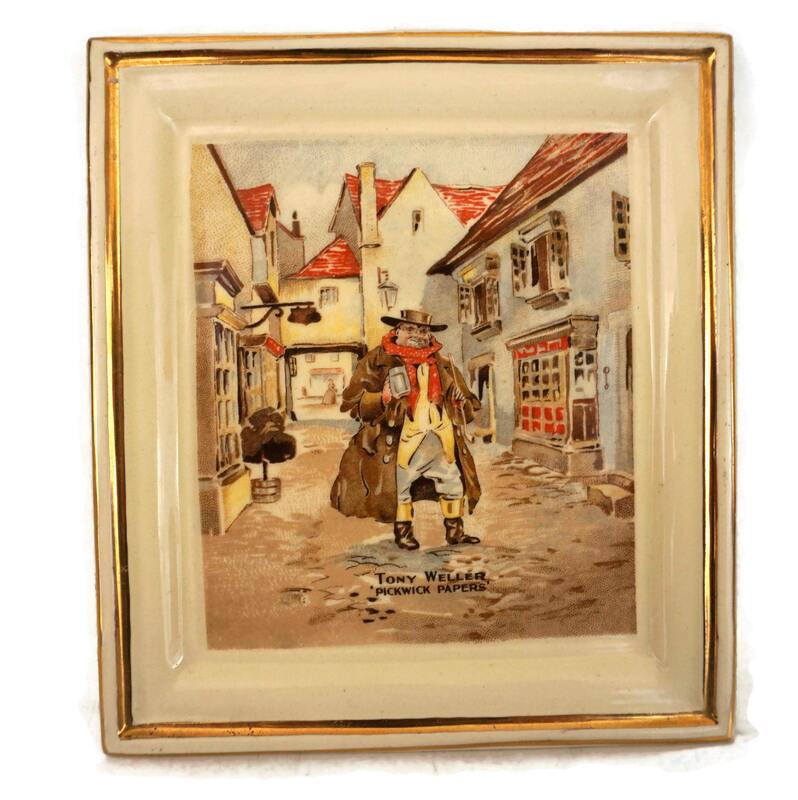 A vintage Tony Weller Pickwick Papers wall plate manufactured by New Hall Hanley, in Staffordshire, England. 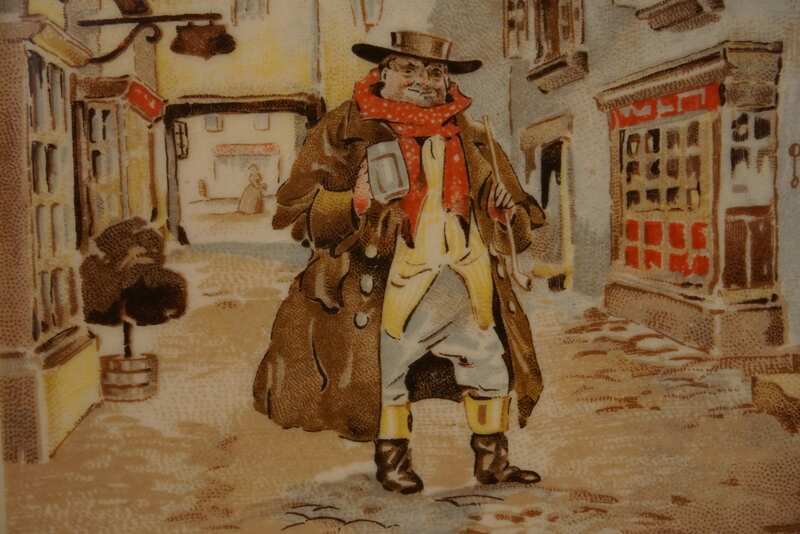 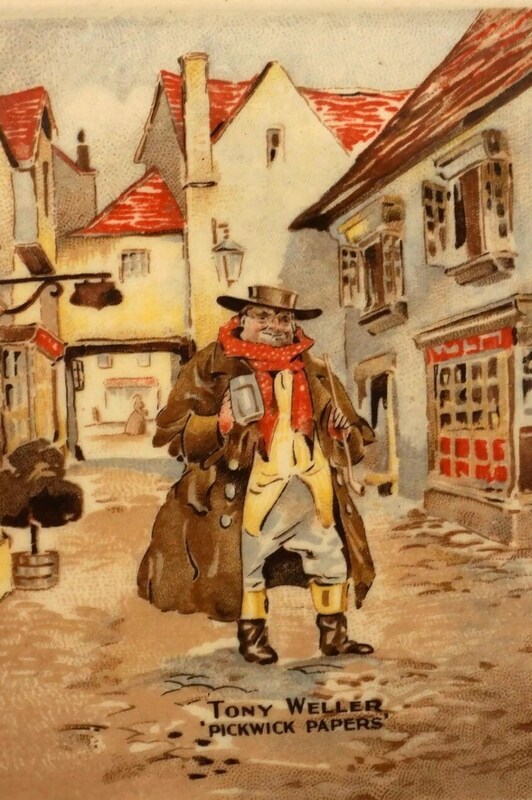 It features an illustration of the famous literary character Tony Weller from the Charles Dickens' novel Pickwick papers. 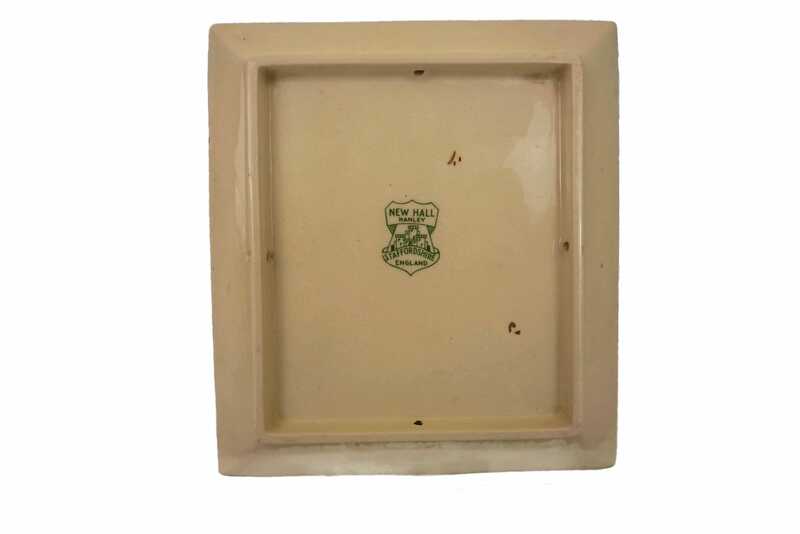 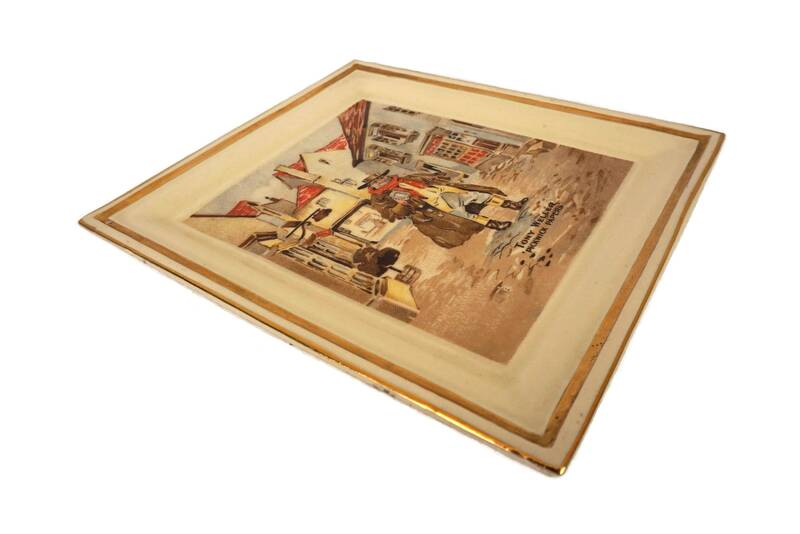 The edges of the rectangular wall plate have been decorated with an elegant double gilt border. 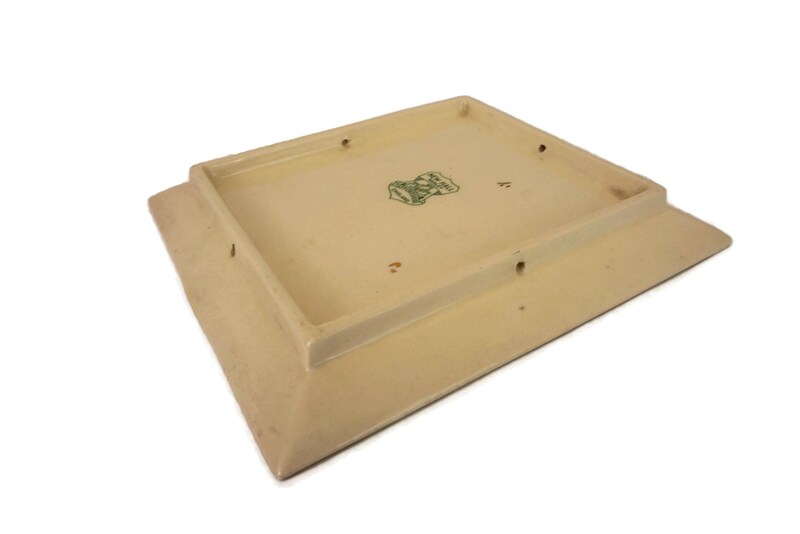 The reverse side has been stamped with the manufacturer's mark and has four holes for attaching a hanging cord or wire. 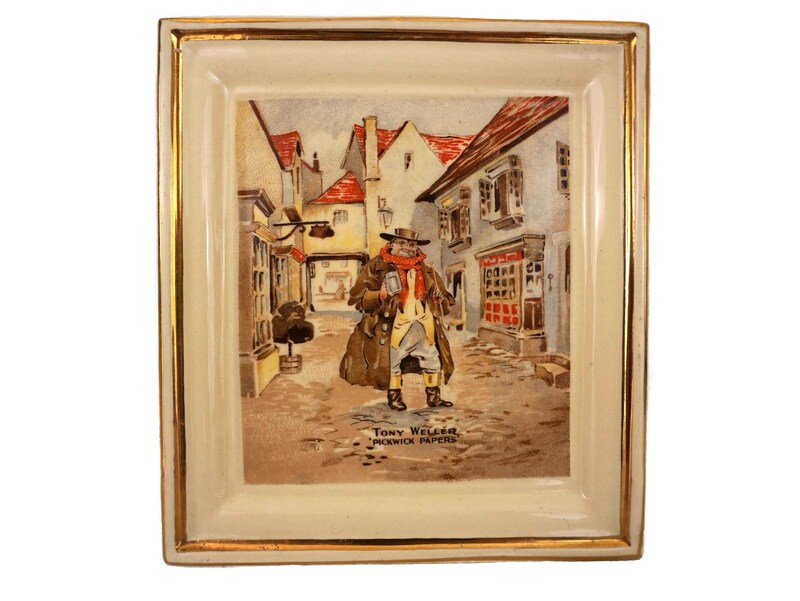 The wall plate could also be used as a small candy dish or serving tray. 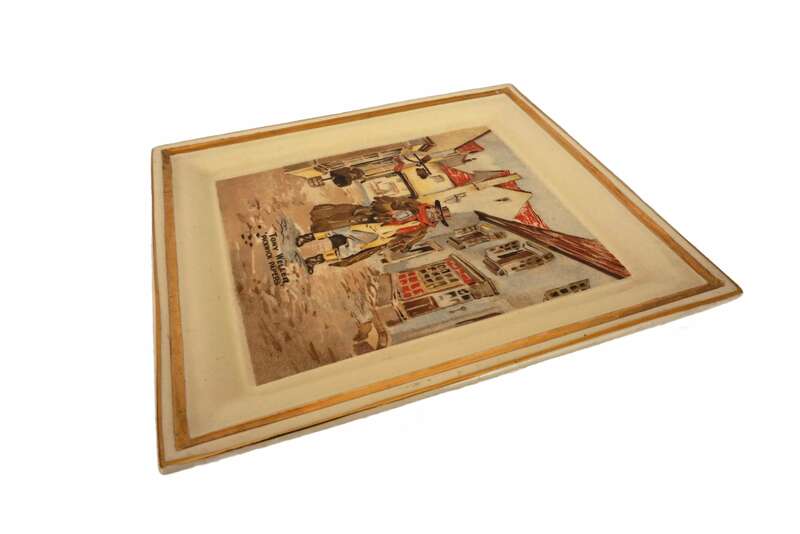 (15,5 cm x 13,5 cm). 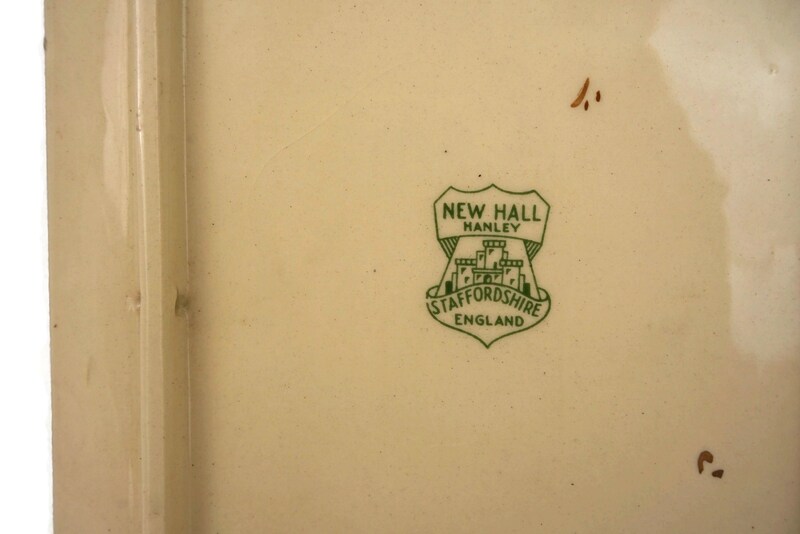 The wall plate is in very good condition with light signs of age and wear including fine crazing to the glazed surface and some rubbing to the gilt ont the edges.